Mix together Australia’s best bits: the rugged coastline, the pretty beaches, the English-style countryside, a smattering of history and a big dose of wildlife, and what have you got? Tasmania: a perfect little country within a country. So before you pack your bags, what do you need to know? Tasmania is 26,383 square miles in area; that’s about the same size as Switzerland. It’s jam-packed with attractions and scenery, and contains some remote wilderness areas, so don’t underestimate your travel times. We’d recommend at least a week to see the highlights and between two and three weeks to see it in depth. This is definitely not a place to rush. Australia may be known for its sun-kissed beaches, but down in Tasmania, it can snow. And snow it does. In the depths of winter (June and July) snowfall in the higher altitudes can be pretty heavy and often remains until spring begins in October. But don’t let it put you off – the countryside looks wonderfully pure and there are plenty of log cabins in the mountains where you can sit by a roaring fire with a mug of hot chocolate. 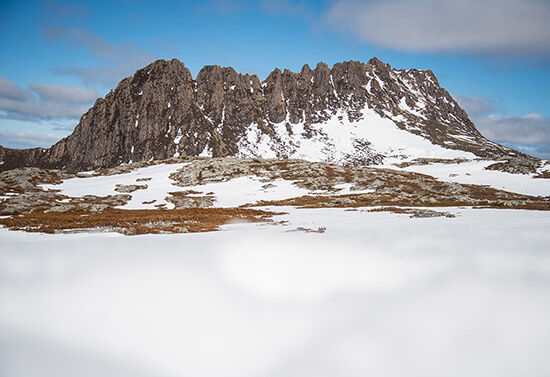 Better yet, grab your snowshoes and hike the Overland Track. Unless you are prepared to get up in the middle of the night – and even then you’ll have to be especially lucky – don’t expect to see this elusive creature in the wild. 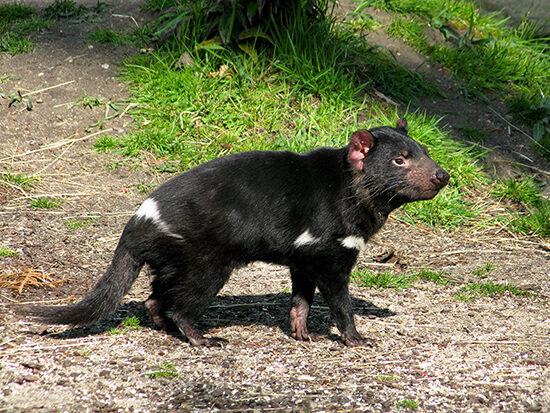 Instead, try the Tasmanian Devil Unzoo in Taranna, the Bonorong Wildlife Sanctuary near Hobart or the Devils@Cradle sanctuary in the foothills of Cradle Mountain. The towering, snow-covered peak of Cradle Mountain is found in Cradle Mountain-Lake St Clair National Park. This picturesque park is scattered with mirror lakes, thick forest and dramatic peaks home to wombats, possums and wallabies. 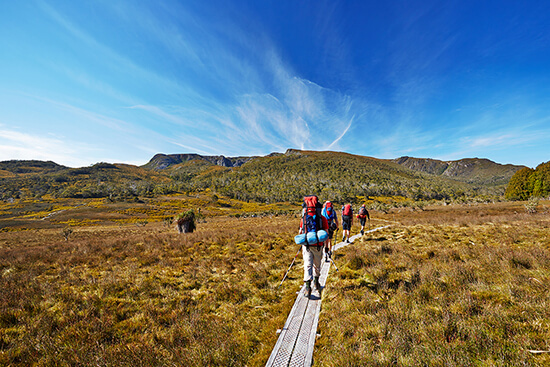 It’s a great spot for a walk – the two-hour loop around Dove Lake, in the shadow of Cradle Mountain, is a great starting point. Then there’s the summit itself – climb it, hike it or just admire it. Incidentally, Lake St Clair is Australia’s deepest lake at 160 metres. Port Arthur is a beautiful place. Crumbling old buildings stand majestically among well-tended lawns on the side of a hill overlooking the sea, and it’s the perfect spot for a relaxing picnic or a scenic boat ride. 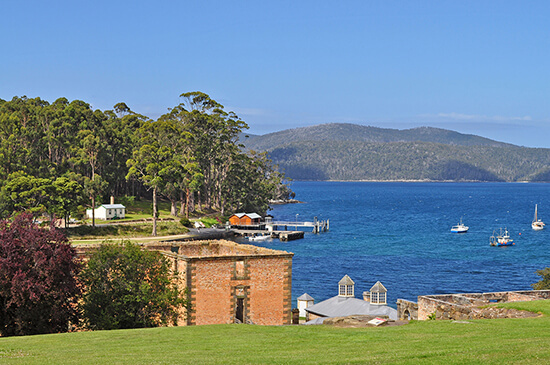 But underneath the chocolate-box exterior lies a dark history: Port Arthur is a former convict settlement, where prisoners were brutally punished and often forced to live in solitary confinement or complete darkness, which for many drove them to insanity. It’s hard to imagine these horrors when you wander around the site on a sunny day, admiring the pretty architecture and taking in the sea views. Otherwise known as a thylacine, the Tasmanian tiger is not a tiger at all. 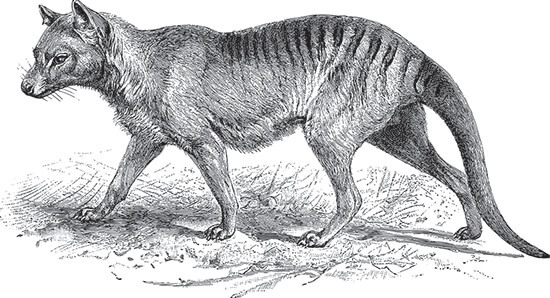 It is in fact a carnivorous marsupial resembling a stripy dog with a kangaroo-like pouch. Now thought to be extinct, the creature’s sad demise is believed to be due to hunting, competition with wild dogs introduced by Europeans, and the erosion of its habitat. Last spotted in the wild in the early 1930s, the last captive Tasmanian tiger died in Hobart Zoo in 1936. Since then, there have been hundreds of sightings, including some captured on film, but none have ever been verified. If you do manage to photograph the tiger then you’re in luck – there is currently an AU$1.75 million reward for proof of its existence. On the outskirts of Hobart, you can step (or should that be sleep?) out of the ordinary with a night at the Museum of Old & New Art (MONA). Located on the grounds of the Moorilla Estate winery, the museum, described by its owner as a ‘subversive adult Disneyland’, is filled with dark, thought-provoking modern pieces mixed with more traditional antiquities and historical relics. The Pavilions, the quirky on-site hotel, offers ultra-modern, hi-tech rooms (think touch panel lighting and video art) with a hint of the old thrown in too in the form of artefacts and pieces from the museum. To top it all off, you can taste the vineyard’s top-notch wines and feast on a delicious tasting menu with vintages to match in the restaurant. 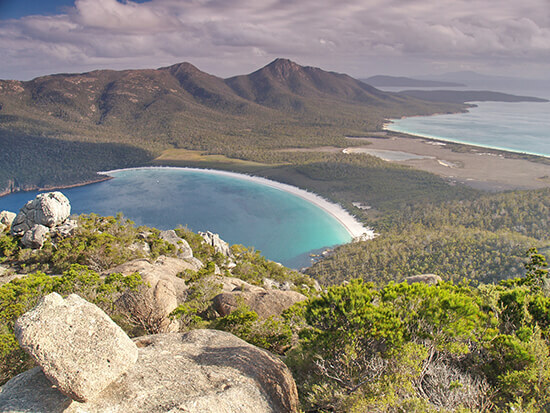 Freycinet National Park is home to the gorgeous sweeps of sand that make up Wineglass Bay, so-called because its double-sided beach resembles the stem of a wine glass. Often voted in the top 10 beaches of the world, Wineglass Bay is only accessible by boat (look out for dolphins) or via a three-hour hike over the hills. Alternatively you can just admire it from the lookout point. If you’re staying in Hobart, be sure to drive the scenic route to the 1,269m summit of Mount Welly, as it’s affectionately known, or take the bus. 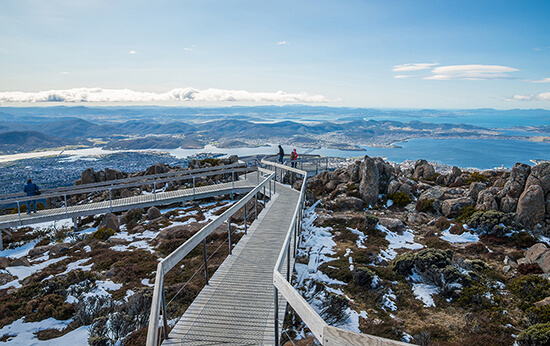 It’s chilly up there, with temperatures often below freezing, but the views over Hobart and the ocean beyond are spectacular. If you’re feeling particularly adventurous, you can hire a mountain bike and descend the slopes on two wheels. Hobart loves to celebrate and the chances are something will be going on, whenever you choose to visit. 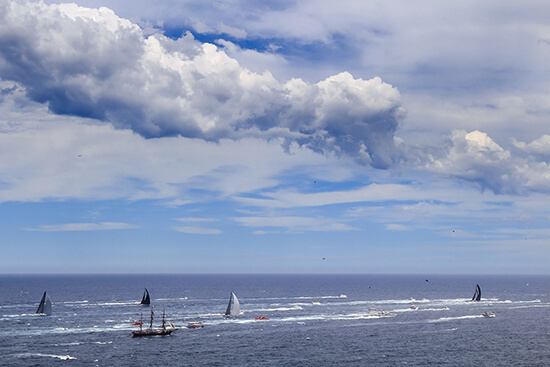 At Christmas, the Myer Hobart Christmas Pageant draws the punters, then there’s the Taste of Tasmania, seven days of foodie delights, held in December, which is also when the Sydney to Hobart Yacht Race sets sail. In January you can laugh your socks off at the Hobart Comedy Festival, then in June celebrate the winter solstice at the Antarctic Midwinter Festival. So what are you waiting for? Grab your hiking boots, hire a bike, surfboard or a kayak and get outdoors among the forests, parks, mountains, lakes and beaches. Tasmania tickle your fancy? 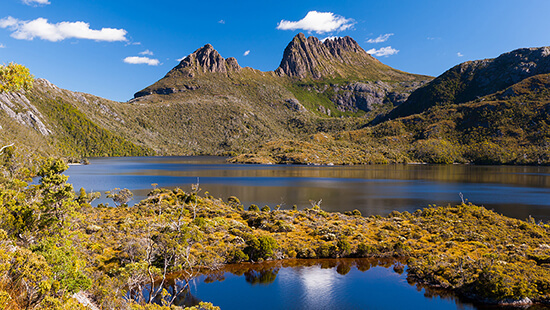 Try our Tasmanian Explorer Journey, which takes in Hobart and Mount Welly, walking in Cradle Mountain-Lake St Clair National Park, sailing in Wineglass Bay and an after-dark ghost tour of Port Arthur.